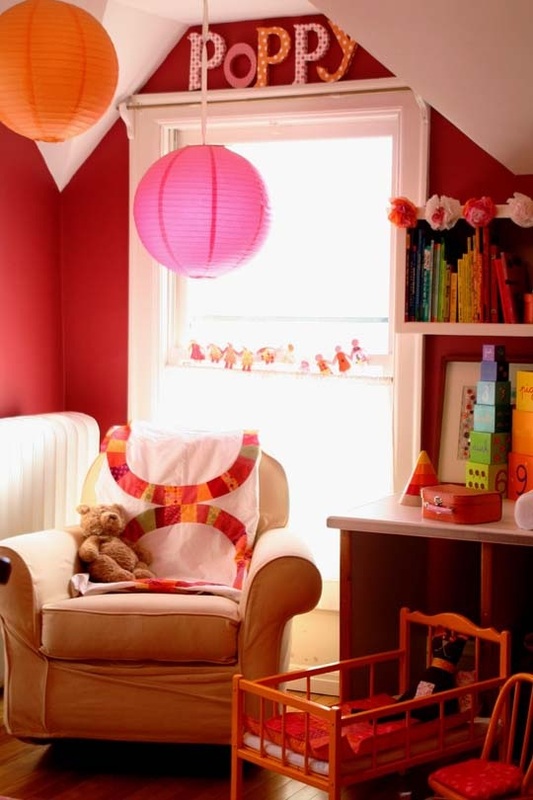 Are you looking to makeover your child's bedroom this summer? Here are 13 inspiration rooms and a few ideas to get your creative juices flowing. Redecorating a room can get expensive so first, set a budget and stick to it. If you aren't in the market to purchase new furnishings, try changing the color of the walls, textiles and/or flooring. There are numerous style and color options in paint. One of my favorites is chalkboard paint, consider painting an entire wall with chalkboard paint (Hudson Paint offers a wide variety of color options). If you are adventurous, you could infuse color into your space by repainting your furniture. Try transforming that white French provincial dresser by painting it hot pink or electric blue. A great way to add fun and whimsy to your space is through accessories. Artwork, toys, seating and lighting are simple to change as your little one grows. Try hanging a decorative light fixture in the center of the room or above the bed. Frame and hang your child's artwork, you can change it as often as you like. Toys or stuffed animals can be displayed on shelves. In order to keep things looking neat, be sure to select a few favorites and stow the rest out of sight in a toy chest or closet. If you have room, include comfortable seating in the space. While most children like to play with their toys on the floor, an upholstered bench placed at the end of the bed or under a window provides flexible seating for guests or story time. 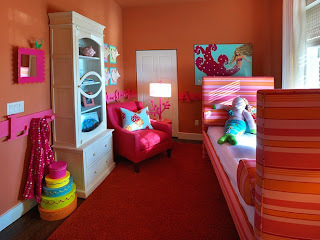 No matter what be sure to include your children in the makeover because nothing beats the creativity of a child and more importantly, this is a space they will occupy the most. Have fun! Bold use of color in a small space helps redirect attention to the design of the room rather than the size. Photo credit unknown. I am a huge fan of chandeliers in the bedroom. 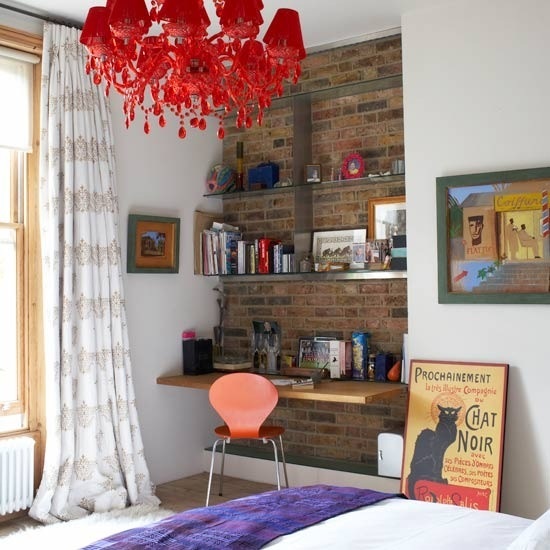 This red chandelier paired with the bare brick wall adds youthful fun to a simple grown up space. Want brick in your space? Try using wallpaper to get the look. Via House to Home. The yellow and white striped ceiling is very cool. Thanks for the inspiration! I really like the different, yet subtle, shades of pink! The crown molding blends so nicely with the room too! 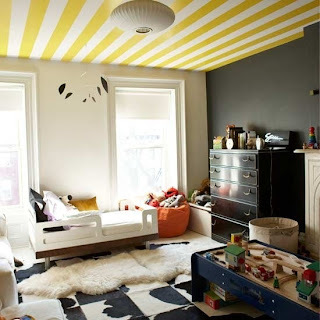 I have to agree that the yellow and white striped ceiling for the boy's room is awesome, very inspiring to think out of the box.